Water is used to clean things more than anything else. When you put pressure behind water, it makes it even more valuable to use. High pressure water can be used by plumbers to clean the insides of pipes and to help get the water flowing again as it should. Jetting hoses come in a variety of sizes to accommodate different diameters of piping throughout a home or office, so depending on where the clog is will depend on the size of hose needed. The hoses connect to a pump which directs the water from a source to the hose. Depending on the nature of the clog, the water pressure can be turned to a very high PSI to get a very strong flow of water going. A licensed plumber will know exactly what PSI to use; one strong enough to get rid of the clog, but not too strong to damage the pipes. Clogs are a natural thing that happens when you have pipes. Regardless of how hard you try to keep things from going down the pipes, some things will just naturally get down there. One big culprit is hair and soap scum buildup from the shower. There can also be grease from the kitchen, sediment from a hot water heater, sludge from a laundry or garage drain, and even roots from trees that have grown into the pipes. After unclogging the pipe or pipes, a professional plumber can then do a camera inspection to make sure the clog is completely gone. When the clog is gone, the water will once again flow like it should. A licensed plumber will come to your home or office with professional equipment meant to do the job at hand. Although it is a simple process, it is oftentimes a necessary one. 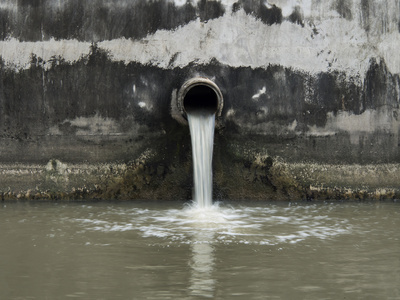 However, sewer jetting isn’t just for when there is a problem. Preventative maintenance is always a good idea. Having your pipes jetted every three to five years will ensure you don’t have any problems during jetting sessions, unless of course something big happens to get down one of your drains. When you know your pipes just aren’t working right, it’s time to call in a professional. Master plumbers have years of experience in not only finding the root of the problem, but in fixing it in a timely fashion. They are knowledgeable in all areas of plumbing, throughout a home or office and can offer years worth of information on your particular situation. For anyone living in Melbourne, Florida, don’t wait any longer to get your pipes back up to their proper working order. Give your local plumber a call today.